A full moon in a misty atmosphere gently illuminates autumn plants. The colors of white hibiscus, blue bellflowers, reddish bush clover, and yellow-speckled maiden flowers stand out with jewel-like intensity against the dappled tones of foliage. 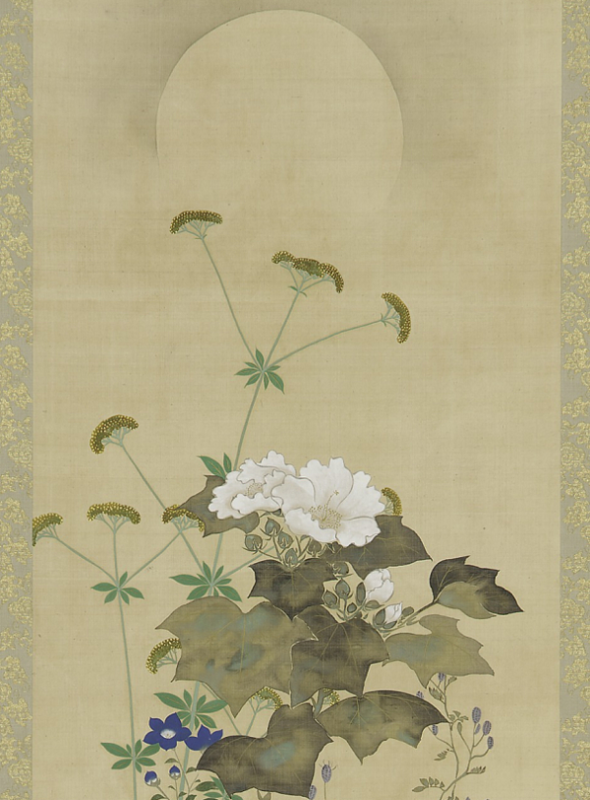 This painting typifies Sakai Hōitsu’s mastery of the Rinpa tradition, demonstrating his careful control of composition, intense and clear colors, and soft color washes.